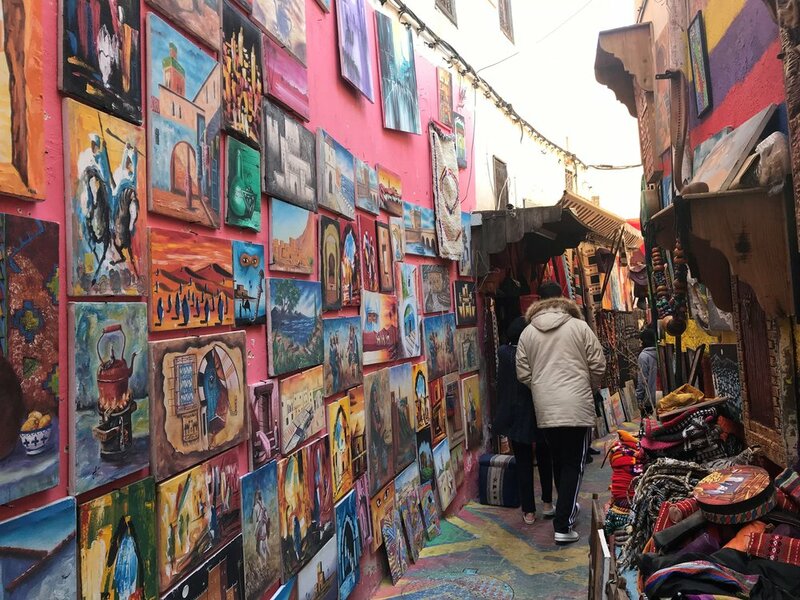 I came to Morocco not knowing a single word of Arabic, Darija or French and left being comfortable enough to order food at a restaurant, take a taxi anywhere around the city and bargain at the Medina. My experience in Morocco got so much better when I was able to talk to more people and joke with them in their own language. 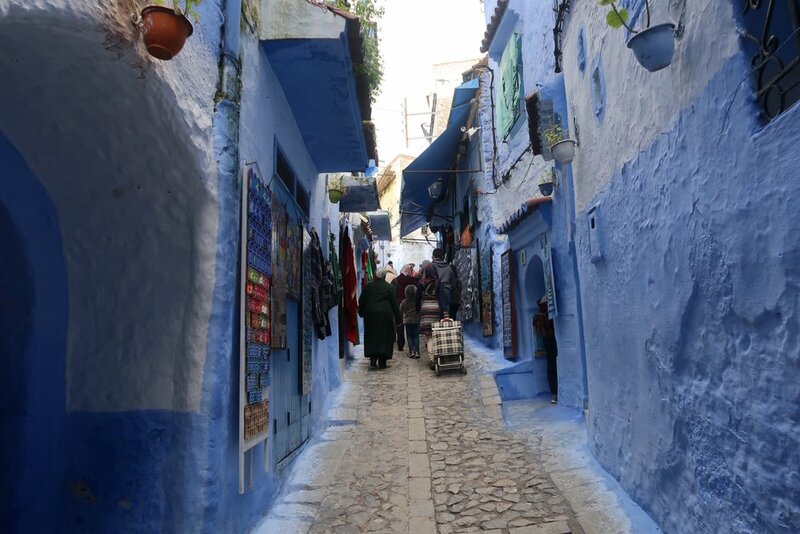 People in the Medina were always shocked when they heard me speak Darija and would always ask me if I was Moroccan. Sometimes I wouldn’t even necessarily understand what people were saying word-for-word, but I was able to understand the general idea. Everyday I felt as if my Arabic was improving and I was able to speak more and more with people on the streets and my host family. On one of my last days in Rabat I headed to the Medina to buy gifts for my family. I walked through the crowded alley ways towards the artisan shops. I first was looking for a tea pot for my mom and stopped by different shops to get the right price for the right quality pot. I bargained back and forth with the man selling me the pot and he asked me if I was Moroccan. I always took this as a compliment because it meant that my language skills were improving enough to be considered Moroccan. I told the man in Arabic that I was American and studying abroad for the semester in Rabat. He was so glad to hear that Americans were interested in learning Arabic and traveling to Rabat. It also felt great to be able to bargain in a different language and be able to carry a conversation out with someone - something I wouldn’t have been able to do a few months ago. Next, I wanted to get names written on keychains in Arabic calligraphy and knew exactly where the shops were. I picked out a bunch of camel keychains and wrote out all the names on a piece of paper for Hassan, the calligraphy artist, to write. I had a bag of prayer rugs in my hands and Hassan asked me if I was Muslim. I told him, yes, I am Muslim and I bought these prayer rugs to gift to my family. He also asked my friend if he was Muslim, and before he could reply I said he was, but only prays Jummah, the holy day. Hassan began hysterically laughing because it’s a common joke among Muslims to only pray on the holy day of Friday. I was so proud of myself for being able to speak in Arabic and Darija and also be able to joke with someone.